Spa Resort Hawaiians is a water park themed park and spa resort in Fukushima, Japan. 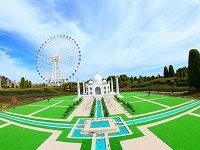 The park features both a water park and a spa area which includes indoor baths and hot springs. The water park has several water slides, ranging in speed, height, and style (alone or pairs). Including the water slides, the water park features 23 different attractions including a suspension bridge. The spa area divides into two separate areas: a gender-mixed indoor spa and a gender-specific hot spring bath. The gender-mixed indoor spa where guests of all ages and both genders can enjoy in bathing suits has a Southern-European style, decorated with tile tubs with massage jet features. 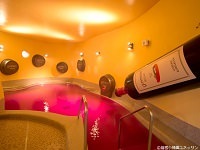 It also features floor heated tubs and cascading water baths, adding to the European ambiance. The gender-specific baths include baths with sulfur spring water and chloride spring water. With several baths for both genders, guests can enjoy various bathing experiences including open air baths, granite baths, cold water baths, and more. Separate from the Water Park and Spring Park (hot springs and spa), the resort also features a separate building, the Spa Garden Pareo. The Pareo is outdoors and has four different zones focusing on different themes: healing, activity, romance, and refreshment. The blue zone for healing has a more calm environment with massage jets and other massage related spa items. The red zone is for the more active group and where they can freely play with friends. The yellow zone is an area for friends and family to relax and chat. The green zone focuses on relaxing and features a walking pool where they can enjoy the nature as they soak in the pools. Edo Jowa Yoichi is the last building for bathing, with baths that recreates the ambiance of Edo period bathhouses. 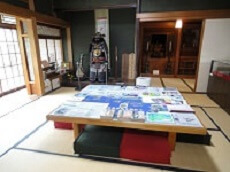 If you want to experience a traditional bathing experience, be sure to spend some time at Edo Jowa Yoichi. The open air bath here is considered the largest, with its combined tub area for men and women being 1,000 m squared. 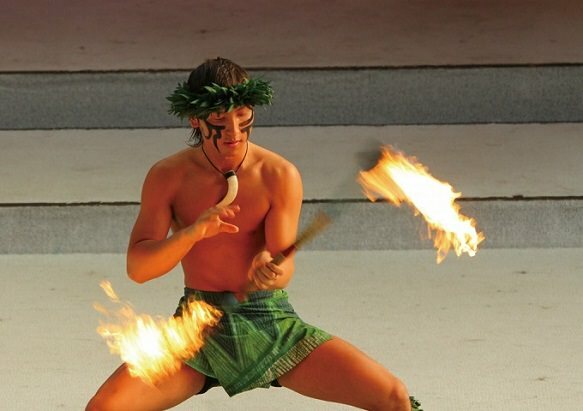 Even with all these different spas and baths, the highlight of Spa Resort Hawaiians is its hula show. 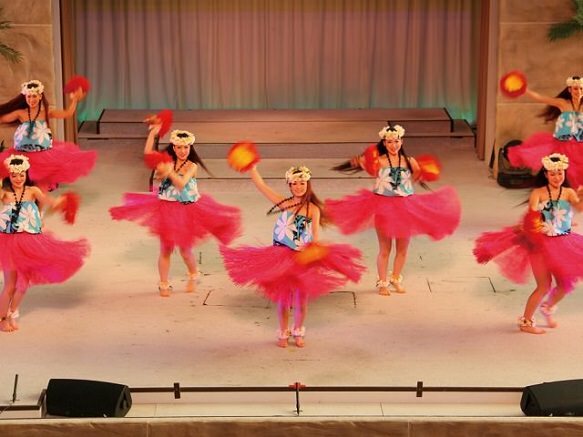 The resort holds several authentic Polynesian dance performances a day, and it was this performance that inspired the filming of Hula Girls, a Japanese film that has received many awards. The hula girls and dancers in the shows perform powerful, dynamic dances.